Take a half day photography tour in Paris with a professional photographer and improve your photography skills. See below for possible itineraries. These are indicative and can change according to certain requirements and time spend as we walk around. Convenient meeting places to be determined. This is the oldest historical part of Paris which has changed the most during my 25 years here and was the area I chose for my first home. It is extremely photogenic with a lot of contrasts as the ancient historic buildings contrast sharply with the modern boutiques, trendy restaurants and cafés full of people. 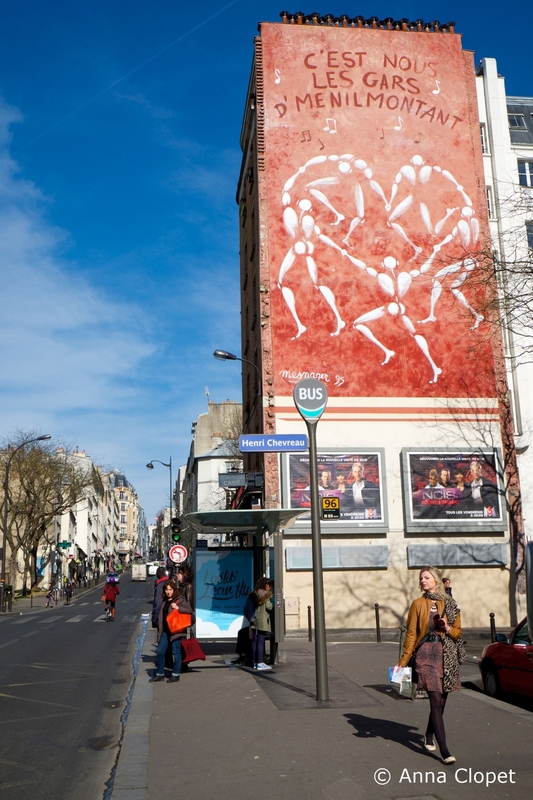 You will photograph magnificent historic buildings, quirky shops, street cafés, pretty little gardens, perhaps some trendy Parisians, and especially street life in this wonderful old but hip quartier. There is a lot to see so we will weave in and out of its narrow streets and if time permits meander down to the banks of the Seine and see the boats and barges go by. Rosier with its people, cafés and shops. 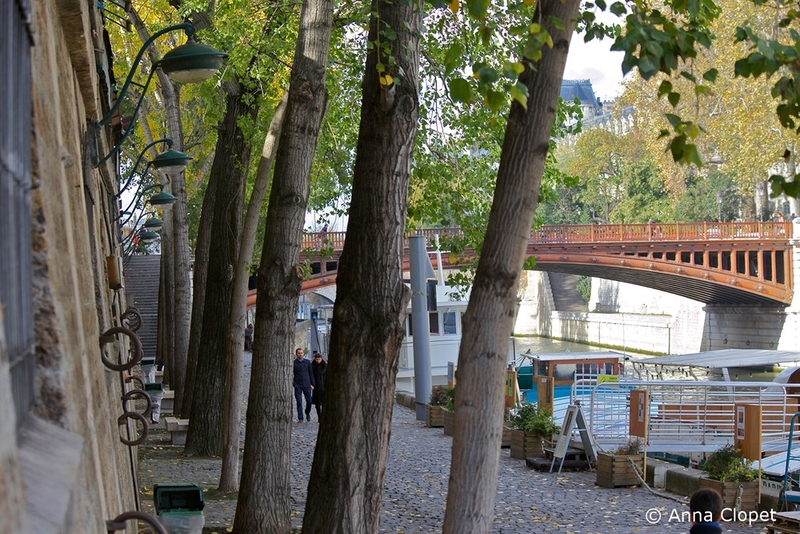 Life along the banks of the Seine. 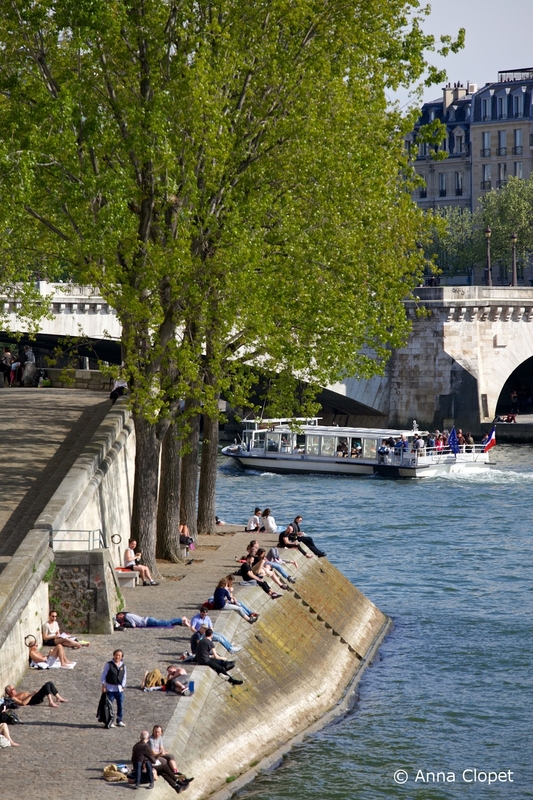 We will walk along the banks of the Seine, around Notre Dame crossing several bridges and the Ile St Louis. 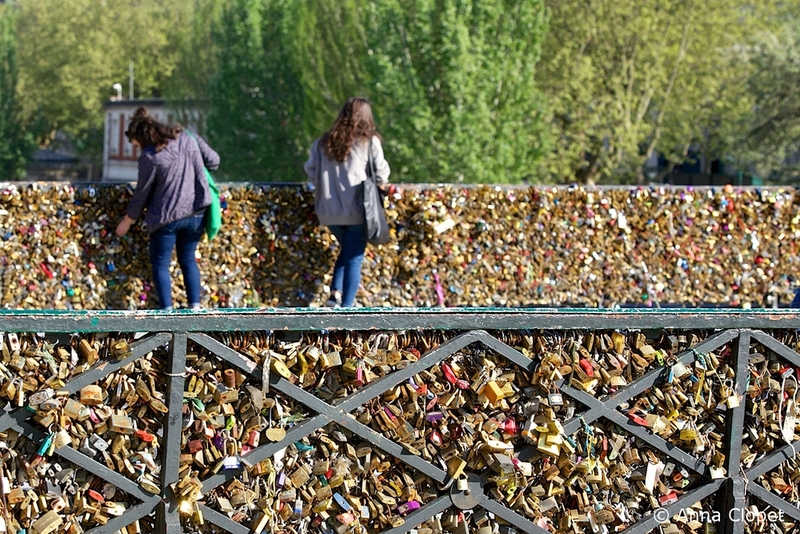 We will photograph the boats going by, perhaps catch an artist painting the Seine from one of these lovely bridges. 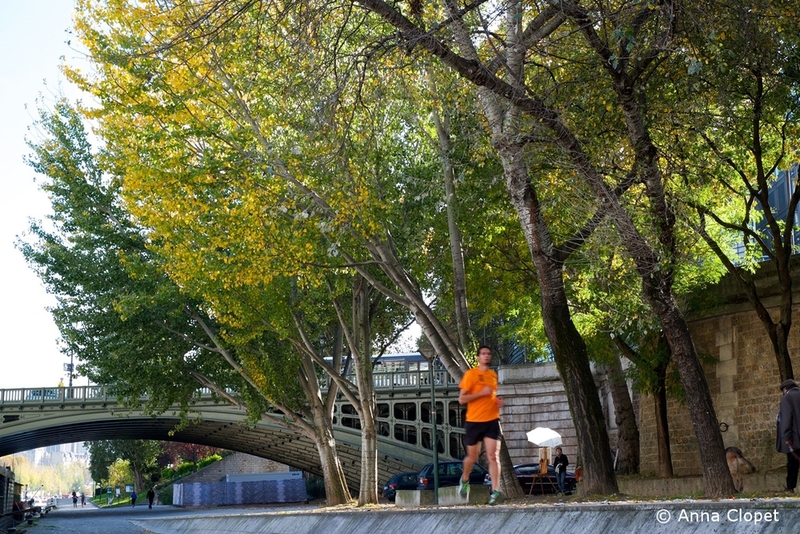 We will walk down the steps along the water and see joggers, walkers, boats, cafés etc. 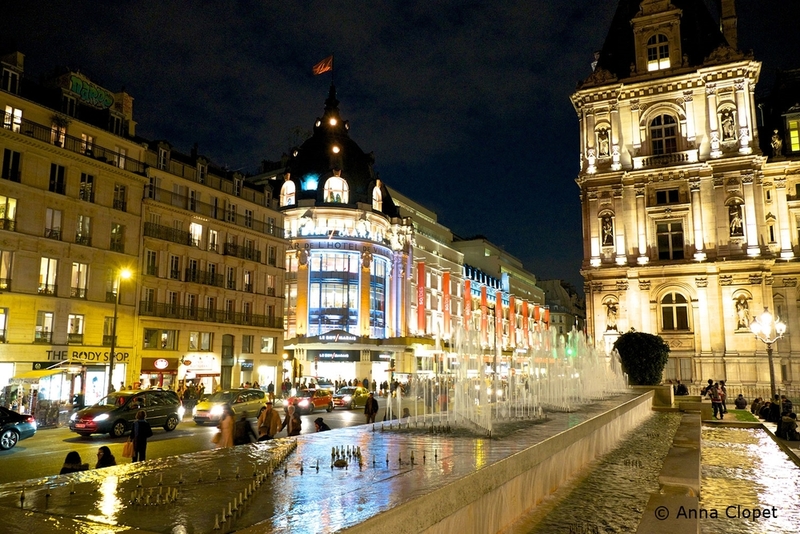 wending our way towards the Hotel de Ville and on to Forum des Halles with its fountains, church and the Pompidou Centre surrounded by its numerous cafés and shops and where there are often performing artists in better weather. Charm of the ‘Belle Epoque’ and Roaring Twenties. 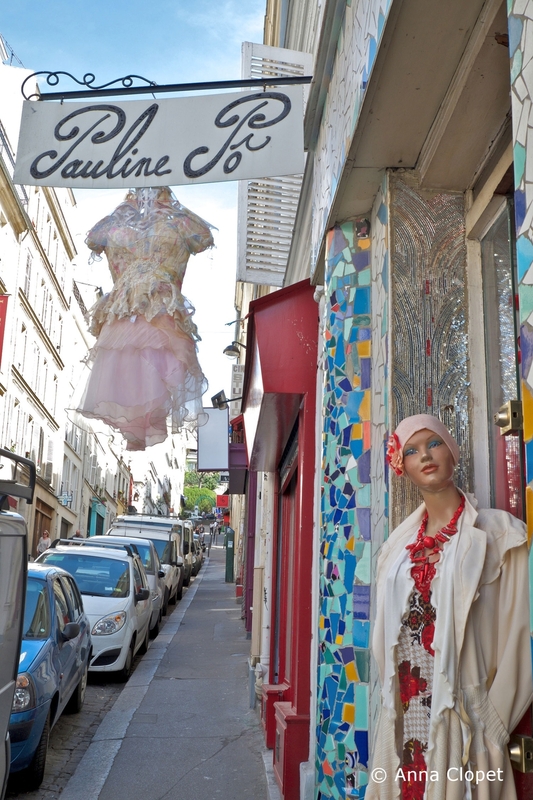 Home to so many artists in the late 19th/20th century, this is one of the most inspiring and charming areas in Paris (I lived here for a while so know it very well) offering numerous and varied photo opportunities. There are buildings, shops, theatres, cafés, monuments, artists, steep wrought iron staircases, cobbled streets and ancient lampposts. There are also often musicians and performing artists. 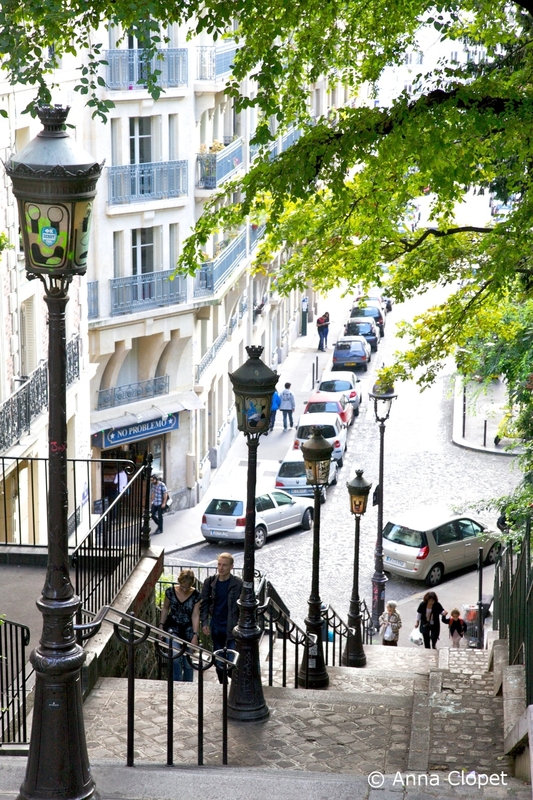 Going to Montmartre is always a pleasure and photographically it never disappoints. Go somewhere nobody goes to! A picturesque village atmosphere on the borders of Paris. 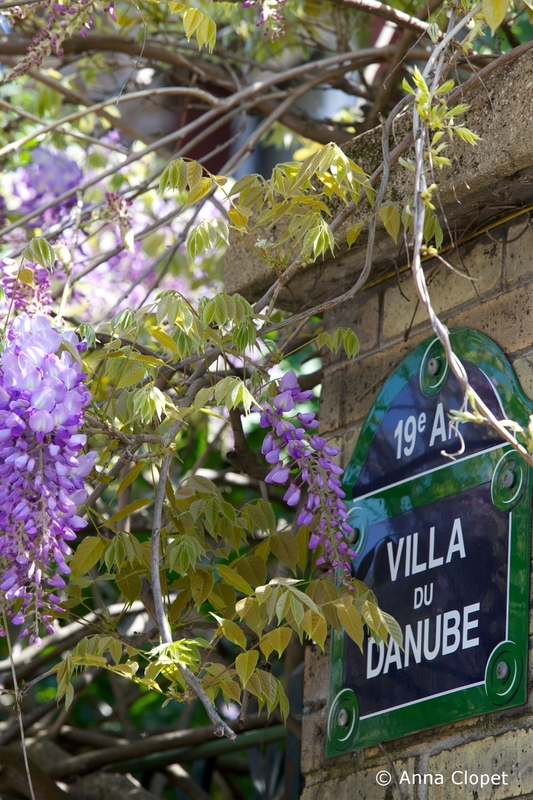 This is a neighbourhood full of charming individual colourful houses and gardens in lanes and passageways that were built at the end of 19th century to house the workers of the limestone quarries in the Buttes de Chaumont. The plaster made out of the gypsum was of such good quality that the plaster made from it was exported to the United States and part of the Whitehouse was built with it! 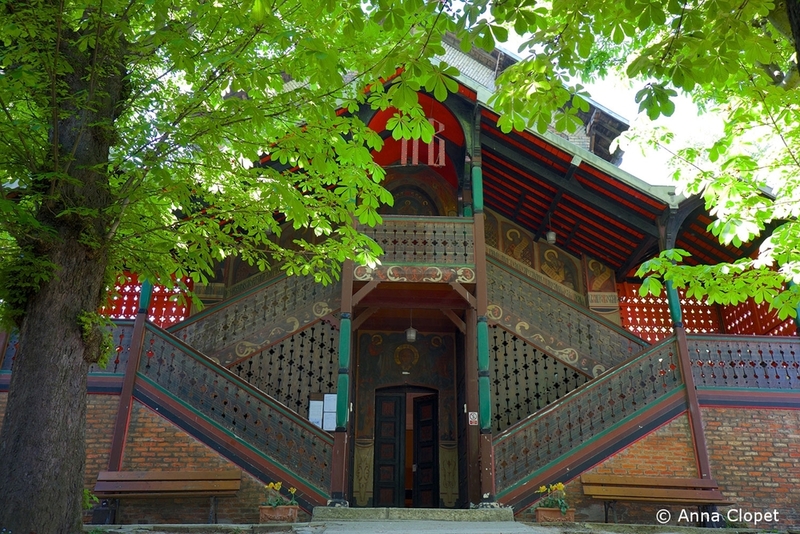 After wending our way in and out of little lanes and passages and taken lots of pictures we will visit a most unusual wooden orthodox church where with a bit of luck we will be able to enter. We will then walk over to the Buttes Chaumont (a beautiful park) and see the traces where the old railway line used to be. 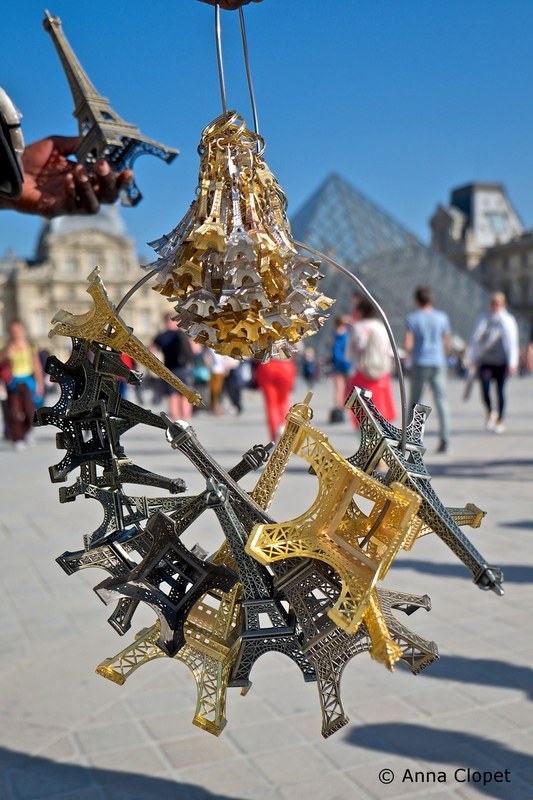 We will visit the ‘campagne de Paris’ where we will see some lovely colourful houses and gardens, wrought iron staircases and listen to the birds! 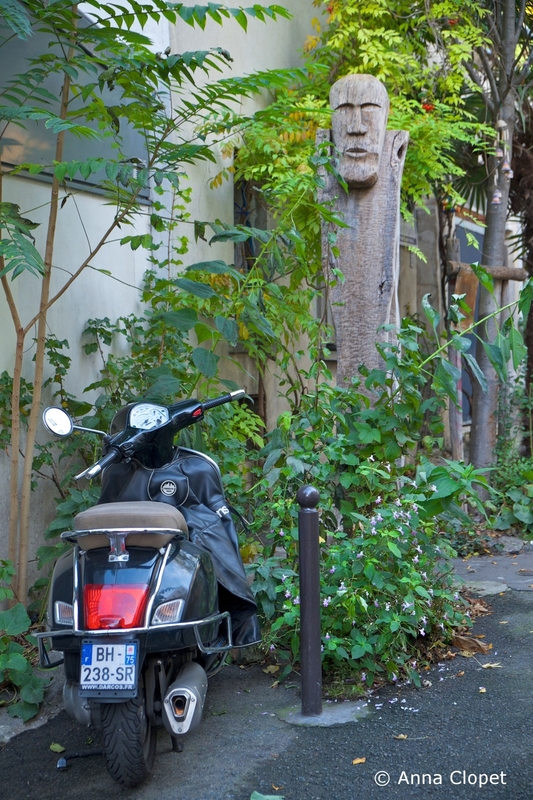 From there we wend our way over to the lively rue des Pyrenées with its shops and cafés, stopping along the way discovering narrow passageways and gardens. This is the area for street art and we will see many examples in both main roads and side streets. It can make for a dramatic backdrop. 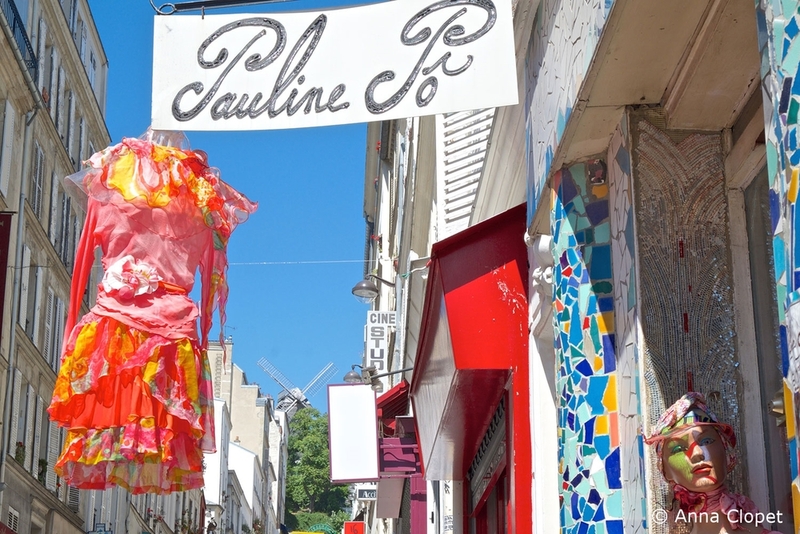 We will make our way along many colourful and picturesque streets on our way to the Parc de Belleville which offers fantastic views of Paris as well as locals sitting around relaxing. The main staircase leading down towards the metro is also very photogenic with all sorts of people walking up and down and at certain times of the day, stray cats! There is a lot of walking involved and the area is hilly so you need to be reasonably fit. Photographing the monuments in a different way. This classical tour is in particular a lesson on how to obtain different pictures from the ones that most tourists get. 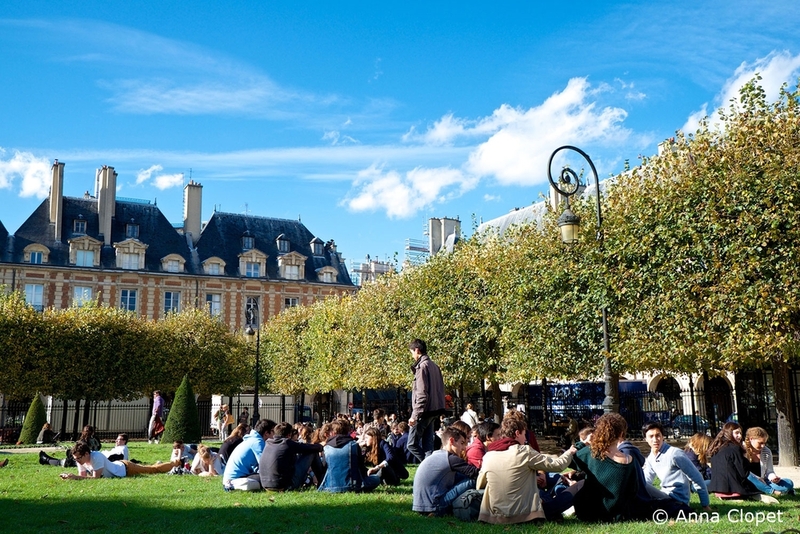 From Notre Dame to the Palais Royal with its dramatic black and white pillared forecourt and across the road to the Louvre, through the Tuillerie Gardens with its fountains, cafés and walkers. At the Place de la Concorde we hop on the metro to Ecole Militaire and walk up to the Eiffel Tower. Some of the best pictures can be taken from these gardens. These tours do not include metro fares, lunches or drinks. This is purely tuition. In the case of more than one person this will include some one-to-one instruction for everyone. All tours are between 3.5 hours depending on numbers, time, breaks etc. On a one-person tour, someone accompanying the participant who is not taking lessons may come free of charge providing they do not take pictures or interfere in the tuition. In the case of more than one person tours with mixed photographer and non-photographer companions please contact me. All photographs are rights reserved and are the property of Anna Clopet and cannot be copied or used without prior consent of Anna Clopet/annasphototraveltours.com.